ATLANTA, June 5, 2018	(Newswire.com) - FotoIN Mobile Corporation (FotoIN), today announced that its patented photo documentation solution can now automatically name photos in the field per Xactimate naming specification (or any other file naming convention). Completely removing all manual steps and any typing of photo names or descriptions in the field, users save more than 75 percent of the time. 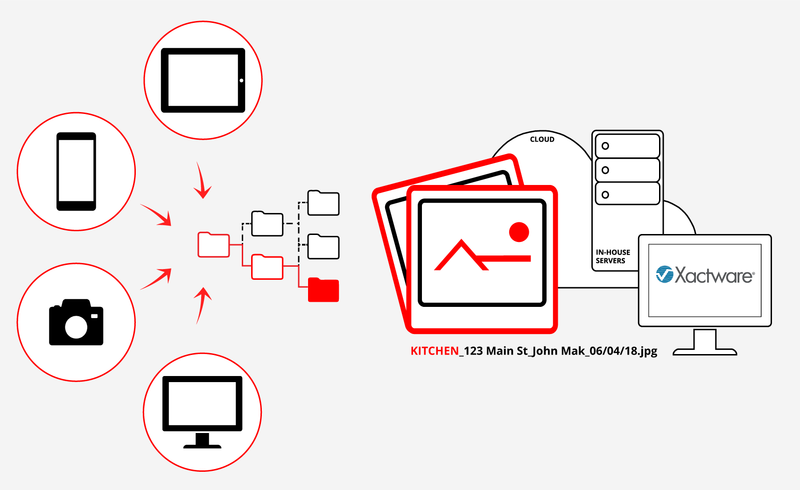 Automatically named photos are also automatically synced and filed to customers’ existing storage repositories, cloud or in-house, and for easy use in Xactimate. Xactimate is the industry's most powerful and comprehensive solution for property claims estimation. Photo documentation with FotoIN is fully automated with customers’ systems and all the key data is also embedded in the photos and easily searchable later as well as extremely easy to use in any type of field reports. By adding ability to use configurable photo tags within FotoIN's configurable automated naming convention feature, our existing and future customers from Restoration and Insurance industry get the final touch needed to fully automate file naming and descriptions for use in Xactimate and any other system that requires specific naming convention. Productivity and efficiency through automation with technology is now a clear priority for restoration contractors, large insurance companies as well as contractor platforms like Contractor Connection that is having its annual convention this week. FotoIN Mobile Corporation (FotoIN) is the leading provider of business photo documentation solutions, with patented end-to-end, best-in-class field photo documentation and reporting technology that is easy, actionable and open. Field users just snap and tag photos and reports, and FotoIN takes care of the rest, including automated filing to customers’ existing storage, project management and other systems directly from the field. FotoIN delivers significant cost savings through reduced dispute resolution costs and increased productivity and efficiency across the organization in field-heavy industries including Restoration, Construction, Engineering, Insurance and Property Management. Used by AECOM Tishman, ATI Restoration and Regency Centers, FotoIN has also been recognized for its innovative solution by the Technology Association of Georgia. The mobile app is available for download in Apple's App Store and on Google Play. For more information, visit www.fotoin.com. For more information about Contractor Connection, please visit https://www.contractorconnection.com/. FotoIN's patented field photo documentation and reporting system is easy, actionable and open. It enables users across enterprises to save 75% of the time on capturing, filing and managing photos, field media and field reports through automation.